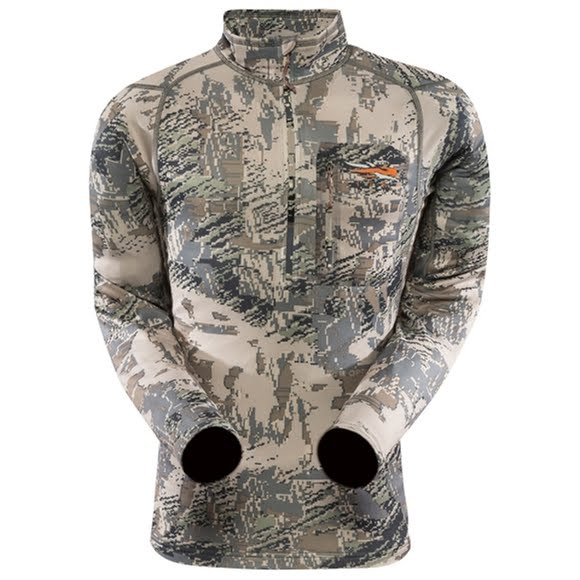 With light insulation and a high zippered neck for fine-tuning your microclimate, the Sitka Gear CORE Midweight Zip-T turns up the heat to keep you moving in frigid temperatures. Permanent Polygiene® Odor Control Technology neutralizes odor by stopping the growth of odor-causing bacteria and fungi. With light insulation and a high zippered neck for fine-tuning your microclimate, the Sitka Gear CORE Midweight Zip-T turns up the heat to keep you moving in frigid temperatures. Permanent Polygiene® Odor Control Technology neutralizes odor by stopping the growth of odor-causing bacteria and fungi. The CORE Midweight Series is the next-to-skin foundation for active hunts in cold weather, built with a micro-grid fleece backer that lightly insulates while actively moving moisture away from the skin. Love this shirt. I really like the little pocket that is located on the left side of the chest area.It will fit a small rangefinder like the Sig Sauer . That way the rope is not hanging off your next for ten hours.